Non-Department of Education school bus drivers, including day care & summer camp drivers, are not under the jurisdiction of the Department of Education. To be eligible for an endorsement, drivers must pass a state background check. 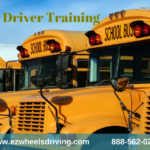 EZ WHEELS DRIVING SCHOOL would like to invite you to our Morris County Bus Driver Training Open House. Find out how EZ it is to start a rewarding and lucrative career as a Passenger Bus Driver. The CDL Class B Bus Driver Training requires no prior knowledge or experience to enroll in our commercial bus driving program. private and local government transit systems, motor coach companies, tour bus companies, and limousine transportation service. This course prepares students to take their written permit exam in order to receive a Class B CDL with Endorsements. This program is 80 Clock Hours (4 weeks) in length. Non-Department of Education school bus drivers, including day care & summer camp drivers,are not under the jurisdiction of the Department of Education. To be eligible for an endorsement, drivers must pass a state background check. Passaic County CDL Bus License Open House. 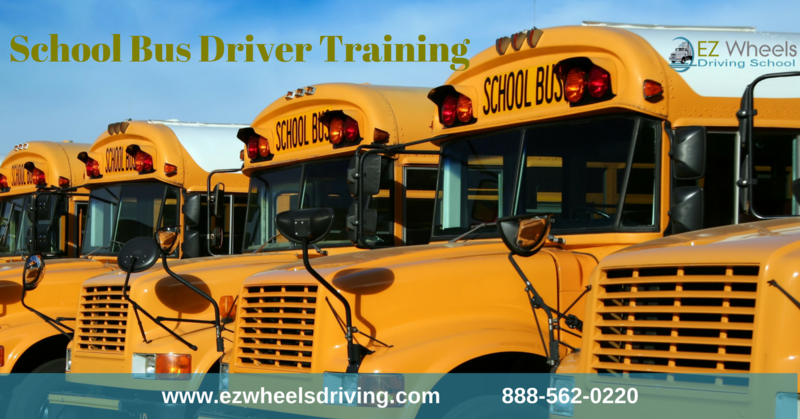 EZ WHEELS DRIVING SCHOOL would like to invite you to our Passaic County Bus Driver Training Open House. Find out how EZ it is to start a rewarding and lucrative career as a Passenger Bus Driver. Union City NJ, Passaic NJ, Hopelawn (Woodbridge NJ), Elizabeth NJ and Morris County NJ. EZ WHEELS DRIVING SCHOOL would like to invite you to our Morris County Forklift Certification Open House. Learn more about our forklift certification training program that provides a comprehensive step by step program for OSHA Safety and the proper operation of forklifts. The program includes instruction, training, testing and certification. The student will have proper instruction for material handling, vehicle safety training and OSHA compliance. EZ Wheels Driving School’s Middlesex County location is holding an OPEN HOUSE all week long. Our CDL School Woodbridge NJ location is holding an Open House. Find out why our students are in HIGH DEMAND by all of the leading National and Local trucking companies. Our students get the best training. EZ Wheels Driving School is special because we offer 1 on 1 TRAINING, something the other driving schools just do not do. What does that mean, well, that means you are not sharing the truck waiting to drive with 10 other students. We also offer FLEXIBLE SCHEDULING. We will fit the training schedule to meet your needs. We also offer JOB PLACEMENT. This is available to our students for life. Come into our North Jersey location to learn more. 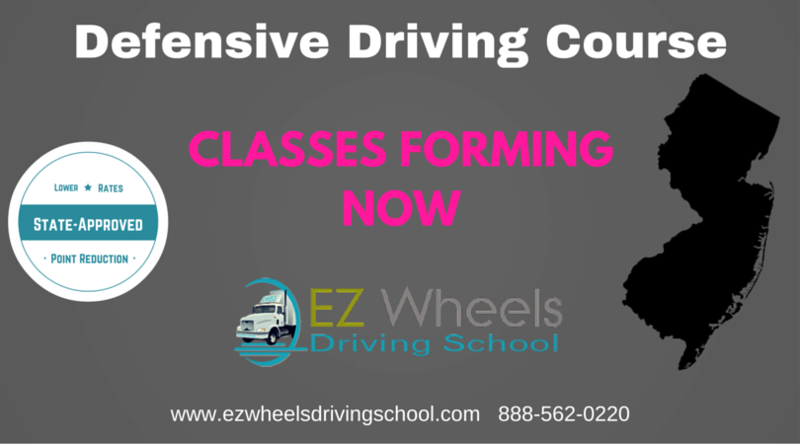 EZ Wheels Driving School is offering a Defensive Driving Course & NJ Insurance Reduction Program class this Saturday at our Driving School New Jersey at any of our locations or call 88-562-0220. By taking a defensive driving course you will become a better driver. Once you complete our course you can then get a reduction in your auto insurance rate. 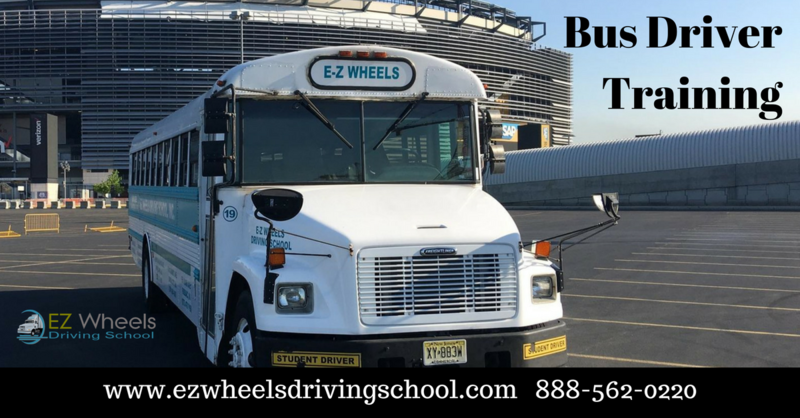 EZ Wheels Driving School’s Hudson County location is holding an OPEN HOUSE all week long. Our CDL School Union City NJ Open House has been so good we are extending it all week long. Our students are in HIGH DEMAND by all of the leading National and Local trucking companies. Our students get the best training. EZ Wheels Driving School is special because we offer 1 on 1 TRAINING, something the other driving schools just do not do. What does that mean, well, that means you are not sharing the truck waiting to drive with 10 other students. We also offer FLEXIBLE SCHEDULING. We will fit the training schedule to meet your needs. We also offer JOB PLACEMENT. This is available to our students for life. EZ Wheels Driving School’s Passaic County location is holding an OPEN HOUSE all week long. Our CDL School Passaic NJ Open House has been so good we are extending it all week long. Our students are in HIGH DEMAND by all of the leading National and Local trucking companies. Our students get the best training. EZ Wheels Driving School is special because we offer 1 on 1 TRAINING, something the other driving schools just do not do. What does that mean, well, that means you are not sharing the truck waiting to drive with 10 other students. We also offer FLEXIBLE SCHEDULING. We will fit the training schedule to meet your needs. We also offer JOB PLACEMENT. This is available to our students for life. EZ Wheels Driving School’s Union County location is holding an OPEN HOUSE all week long. 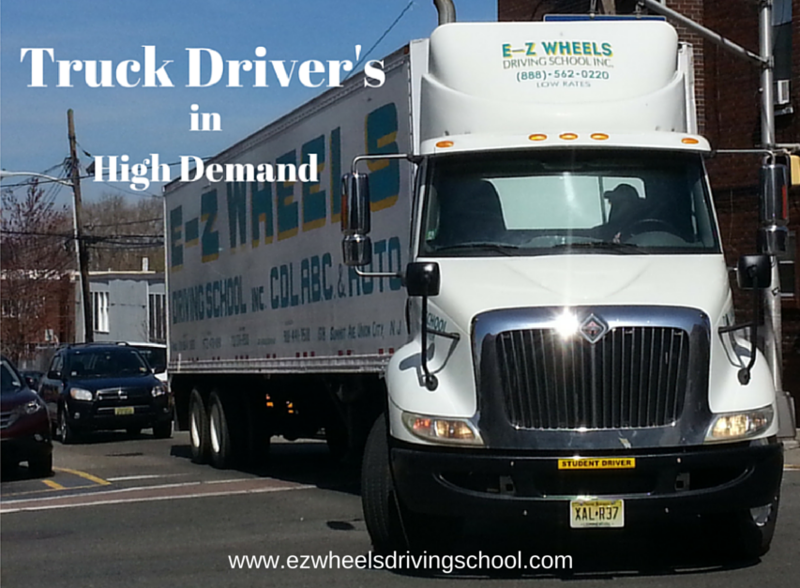 Our CDL School Elizabeth NJ Open House has been so good we are extending it all week long. 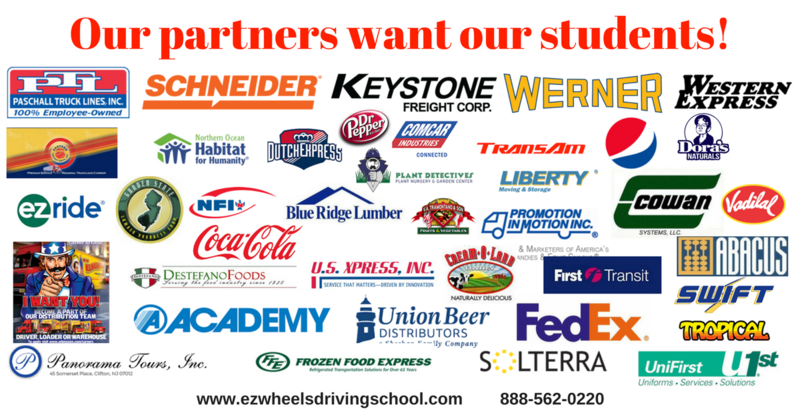 Our students are in HIGH DEMAND by all of the leading National and Local trucking companies. Our students get the best training. EZ Wheels Driving School is special because we offer 1 on 1 TRAINING, something the other driving schools just do not do. What does that mean, well, that means you are not sharing the truck waiting to drive with 10 other students. We also offer FLEXIBLE SCHEDULING. We will fit the training schedule to meet your needs. We also offer JOB PLACEMENT. This is available to our students for life. EZ Wheels Driving School’s is Morris Counties leading Driving school is holding an OPEN HOUSE all week long. 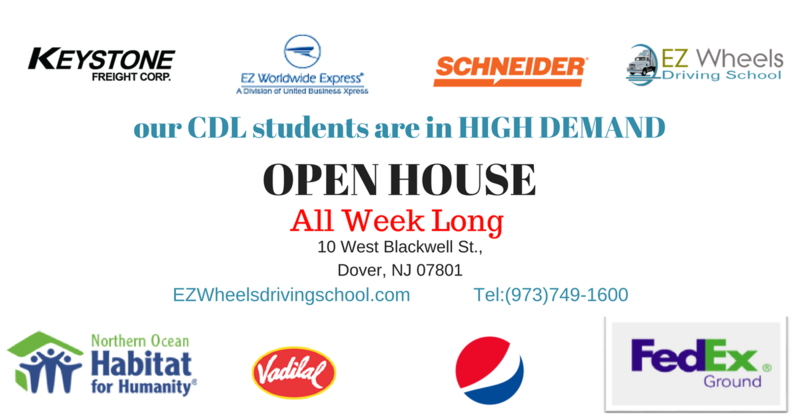 Our CDL School Dover NJ Open House has been so successful we are having it again extending it for a whole week. To find out about training for Truck, Bus or even Forklift please come into our Morris County location or call 973-749-1600. Our students are in HIGH DEMAND by all of the leading National and Local trucking companies. Our students get the best training. EZ Wheels Driving School is special because we offer 1 on 1 TRAINING, something the other driving schools just do not do. What does that mean, well, that means you are not sharing the truck waiting to drive with 10 other students. We also offer FLEXIBLE SCHEDULING. We will fit the training schedule to meet your needs. We also offer JOB PLACEMENT. This is available to our students for life.